Growing season has come to an end and farmers all seem to be in some stage of harvest, the most labor-intensive time of year. Everyone with a connection to a farm is busy helping out. The tractors, trucks and combines are all putting in long hours; the loads of laundry are dirtier; the list of chores is longer; the days are getting shorter. Although this can be a stressful time of year, it is also one of the most rewarding. This is when farmers get to see the fruits of their labor, literally. Mice start harvesting in the fall too! Farmers aren’t the only ones who are busy clearing the fields and storing crops for winter. Rats and mice are busily preparing for winter too. They are stockpiling food and looking for a place to hide that will be safe and warm. Farm equipment offers an ideal nesting ground for rodents. Tractors, combines, and other farm vehicles are often parked in outbuildings and left undisturbed during the winter months. Cushy seats are great for making nests and having litters of baby mice. Engine filters and wiring are great for chewing on to keep rodents ever-growing teeth nice and trim. And any stray seeds or grain will help a growing rodent family last out the cold. They say nothing runs like a Deere, and we don’t doubt it, but if you have mice in your tractor, you are likely to face some expensive repairs in order to keep things running. American farmers spend billions each year repairing damage caused by rodents. Rodent damage is preventable. 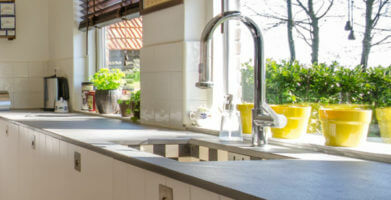 Some people use dryer sheets or mothballs to try and keep mice out, but these methods don’t come with any guarantees. 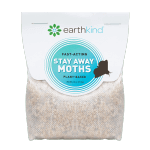 Besides, mothballs leave behind a terrible stink – almost as bad as the smell of mice! The chemicals in dryer sheets and mothballs can also be toxic, posing a potential health threat to people and pets. The best way to get rid of mice, guaranteed, is to use Fresh Cab Botanical Rodent Repellent. It is called “Fresh CAB” because it was invented for use in tractor cabs. When a North Dakota farm wife figured out how to get rid of mice naturally, her miracle product spread from the farm to people’s homes, cars, boats, businesses and any place else that needed protection from mice. Fresh Cab is a small pouch that smells like Christmas trees. 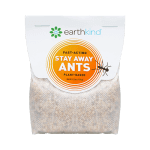 The scent repels rodents and leaves behind a fresh scent, and comes with a satisfaction guarantee. The only thing you have to lose is mice! Growing season has come to an end and farmers all seem to be in some stage of harvest, the most labor-intensive time of year. Everyone with a connection to a farm is busy helping out. The tractors, trucks and combines are all putting in long hours; the loads of laundry are dirtier; the list of chores is longer; the days are getting shorter. Although this can be a stressful time of year, it is also one of the most rewarding. This is when farmers get to see the fruits of their labor, literally. Farmers aren't the only ones who are busy clearing the fields and storing crops for winter. Rats and mice are busily preparing for winter too. They are stockpiling food and looking for a place to hide that will be safe and warm. Farm equipment offers an ideal nesting ground for rodents. Tractors, combines, and other farm vehicles are often parked in outbuildings and left undisturbed during the winter months. Cushy seats are great for making nests and having litters of baby mice. Engine filters and wiring are great for chewing on to keep rodents ever-growing teeth nice and trim. And any stray seeds or grain will help a growing rodent family last out the cold. They say nothing runs like a Deere, and we don't doubt it, but if you have mice in your tractor, you are likely to face some expensive repairs in order to keep things running. American farmers spend billions each year repairing damage caused by rodents. Rodent damage is preventable. 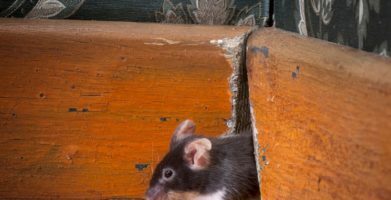 Some people use dryer sheets or mothballs to try and keep mice out, but these methods don't come with any guarantees. Besides, mothballs leave behind a terrible stink - almost as bad as the smell of mice! The chemicals in dryer sheets and mothballs can also be toxic, posing a potential health threat to people and pets. The best way to get rid of mice, guaranteed, is to use Fresh Cab Botanical Rodent Repellent. It is called "Fresh CAB" because it was invented for use in tractor cabs. When a North Dakota farm wife figured out how to get rid of mice naturally, her miracle product spread from the farm to people's homes, cars, boats, businesses and any place else that needed protection from mice. Fresh Cab is a small pouch that smells like Christmas trees. 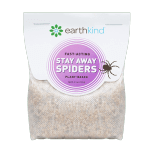 The scent repels rodents and leaves behind a fresh scent, and comes with a satisfaction guarantee. The only thing you have to lose is mice! string(27) "Getting Rid of Harvest Mice"